Geraniums make popular bedding plants in the garden and are also commonly grown indoors. 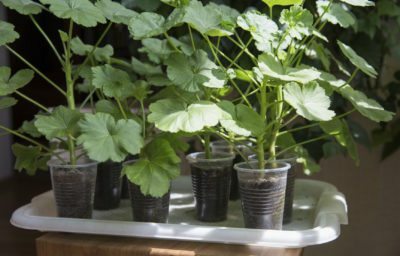 Growing geranium plants is easy as long as you provide them with everything they need. The care of geraniums is an essential part of their overall health. But even with the best geranium care, there may be times when problems occur. Read on for information on growing geraniums and keeping problems to a minimum. Geraniums are some of the most popular and easy to care for garden and potted plants. Geranium rust is a very serious and relatively new disease that can completely defoliate and even kill a plant. Click this article to learn more about recognizing geranium leaf rust symptoms. 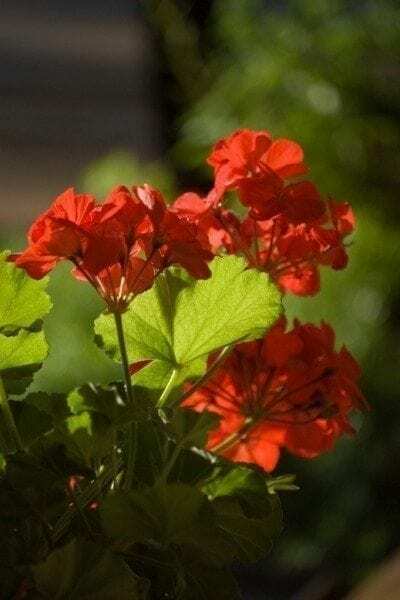 Geraniums are one of the most popular indoor and outdoor flowering plants and are relatively hardy but, like any plant, can be susceptible to a number of diseases. It?s important to be able to identify diseases if and when they do occur. Click this article to learn more. Most gardeners are very familiar with the wide range of bloom colors for zonal geraniums. However, brocade geranium plants can add even more exquisite color to the garden with just their foliage. For more brocade geranium info, click on the following article. 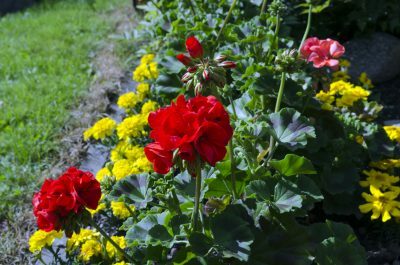 Geraniums are generally low maintenance and easy to grow but, like any plant, they can experience some problems. One of the most common includes geranium leaves turning red. Click here to learn more about afflictions that can lead to red leaves on geraniums. Geraniums are some of the most popular houseplants and bedding plants out there. They?re easy to maintain, tough, and very prolific. They?re also very easy to propagate. Learn more about geranium plant propagation, particularly how to start geranium cuttings, here. Geraniums are popular for their bright and sometimes fragrant flowers, but they bring with them the extra bonus of being especially good companion plants. Learn more about companion planting with geraniums and what to plant with geraniums in this article. Are geraniums annual or perennial? It?s a simple question with a slightly complicated answer. Click this article to learn more about the lifespan of geranium flowers and what to do with geraniums after blooming. Ivy leaf geraniums are not as common in the U.S. as their relative, Zonal geranium. As more gardeners plant them, however, growing ivy geraniums may become a more common gardening delight. Get more info here. Geraniums make popular bedding plants in the garden but they?re also commonly grown indoors. Growing geranium plants is easy as long as you can give them what you need. This article will help with that. Geraniums are among the most popular bedding plants. 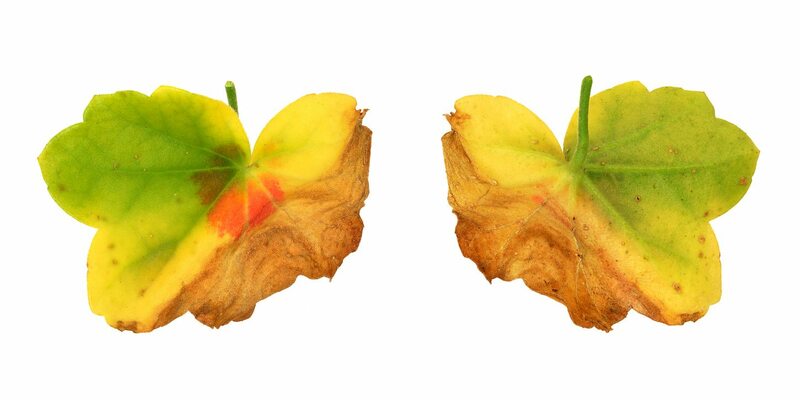 As wonderful as geraniums are, there may be times when you notice your geranium leaves turning yellow. Find out what causes this here. Many people wonder why their geraniums get leggy, especially if they keep them year after year. Find out the cause and what to do with leggy geraniums in this article. Pruning geraniums can help keep them looking their best. Cutting back geraniums will prevent woody and leggy geraniums, especially in geraniums that have been overwintered. Find pruning information here. Geraniums are grown as annuals in most parts of the U.S., but they are actually tender perennials. This means that with a little care, getting geraniums to last over winter is possible. This article will help.